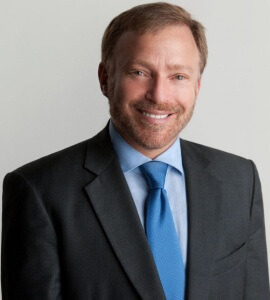 Guest Bio: Raphael Kellman, MD, is founder of the Kellman Center for Integrative & Functional Medicine. 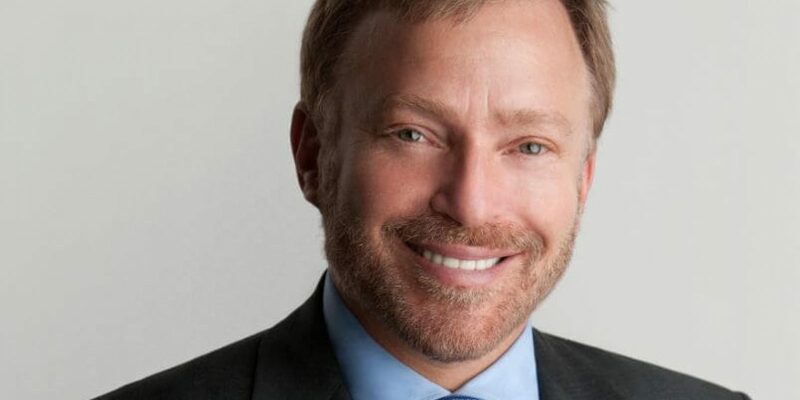 As a doctor trained in internal medicine at the Albert Einstein College of Medicine in New York, Dr. Kellman uses the latest drugs and technology to treat specific diseases, but his approach to medicine is patient-centered and holistic. Segment overview: In this segment Dr. Raphael Kellman, MD, and founder of The Kellman Center for Integrative & Functional Medicine, talks about the proper diet for healthy thyroid function. Neal Howard: Hello and welcome to the program today, I’m your host Neal Howard. Thank you joining us here on Health Professional Radio. Our guest in studio today is Dr. Raphael Kellman, Founder of the Kellman Center for Integrative and Functional Medicine, trained in Internal Medicine at the Albert Einstein College of Medicine, New York City and uses the latest drugs and technology to treat specific diseases but his approach to medicine is patient centered and holistic. Welcome to Health Professional Radio Dr. Kellman. Dr. Raphael Kellman: Well thank you, thank you for having me. N: Thank you. I understand that you’re an expert in thyroid function and treating thyroid issues among other issues that you’re greatly involved in. Talk a bit about your background and the Kellman Center for Integrative and Functional Medicine. K: Oh sure. Well I was classically trained in internal medicine, went to the Albert Einstein College of Medicine. I did my internship and residency in internal medicine but from the get go I was practicing holistic functional medicine however you want to call it based on a way of seeing how nature works in general based on a holistic model. How I end the story, the reality before us so it was easily transferred to the way I understood the practice of medicine and the way I feel and felt how medicine should be rooted, what type of paradigm and it should be rooted in and what type of premises. Well of course I realized that this paradigm and I really felt that it’s so important, consistent with the way scientists and philosophers of science understood the natural world from other disciplines but it was quite obvious that the world of medicine was not following the frontier of the other sciences but this model is basically that the best interconnectedness of everything and that every division between what we see is arbitrary at best and in fact some of the subdivisions that we, I would say invent could actually be wrong and… I studied the philosophy of science and in classical there are two ways of understanding health and disease and one of the ontological perspective where basically disease is a thing and the way you understand nature, the way you understand billiard balls. So we live in a world of things amongst, things of course disease is a thing, for example a cancer, an infection or whatever it is. Even if say something like diabetes it’s a precise thing, either type 1 or this whether immune issue there’s an attack on cells of the pancreas or diabetes where there’s a certain mechanical biochemical defect or problem, perhaps of course exacerbated by diet, etc. but it’s basically the…goal to a precise thing or biochemical precise mechanism. The other approach is what we call physiological or the ecological approach where disease and health is not understood as the same amongst other things but rather as processes of interconnected and interacting processes that may look like a thing or that may…and appear as a thing but really behind all of this is just processes amongst processes and interacting processes and this also now could be understood in terms of ecology that with gene theory that was promulgated most aggressively with the genome theory when the scientists felt that we and society in general that we were on this inexorable march to the ends of disease and incredible well-being by mapping out the genome and we were expecting with so many genes to be discovered, the very … we used we ended up hanging ourselves because it was actually refuted. The genome theory was refuted by the very genome evaluation that everyone thought would be the absolute proof that it’s all about the genes and then you have certain people like Dawkins that wrote a book called the Selfish Gene and his premise is rooted in that we are basically reducible to biochemical … that are attempting to survive in this unlimited understanding of evolution, of genetic evolution we are just our genes and they’re selfish and they’re trying to compete with all the other genes etc. What he missed, that people like him missed and the old biology missed is that that’s not correct, that we can isolate one organism from its environment, from its society, from its ecology and this was certainly may brought home with the discovery of the full extent of the enormous, staggering numbers of bacteria in the microbiome that play a vast role in our overall health and that their basic units of evolution now is understood as a whole… meaning it’s not just our genes but it’s our genes interacting and interconnected with all the bacterial genes that are in a constant state of flux and we’re constantly exchanging genes with themselves then the outside world where any division just becomes arbitrary at best. This is the absolute reputation of the old biology, of the old way of thinking, of the old way of understanding evolution, of the old way of understanding science, of the old way of understanding medicine and of the old way of treating disease. N: Now that being said, talking about the old way versus the new way when it comes to I guess efficiently diagnosing and making the call on overall health how important as a thyroid expert is the thyroid as an indicator of overall health based on the new philosophy of medicine that you subscribe to? K: The reason why thyroid is so high up on the list in understanding the origins of disease is that we live in an ecology that it’s unhealthy, it’s an outer ecology that’s unhealthy and the inner ecology that the microbiome face such a significant role actually it is the inner ecology that mirrors that unhealthy ecology on that we see outside in the world in nature. Now we always have the same about why disease, why do you get sick? Is it that we’re automobiles and we wear and tear, engine breaks down and this breaks down and then the other thing breaks down? Or is it that the processes and ultimately organs and systems that are interconnecting are not as healthy as they can be and what would be causing that? Well it’s environmental toxicity that plays a significant role it’s not the only cause but these environmental toxins we don’t think, they’re not visible to the naked eye, we can’t smell them either although there’s research now that dogs could perhaps smell them, likely to smell them and they’re training dogs to be able to sniff the toxins that are destroying our ecology and hurting us. So we’re surrounded by endocrine disruptors, endocrine disruptors for example like phthalates and BPA and Dioxin and lead and mercury and aluminum and etc. These toxins do not have to be in high amounts in order to adversely affect the endocrine system because the endocrine system is a very delicate communication system that it’s beyond comprehension, it’s not as simple as what we’re thought, these receptors could easily be damaged. N: Where can our listeners get a copy of your latest work? K: It’s on Amazon, people could purchase the Microbiome Diet on Amazon and then Barnes and Noble. N: You’ve been listening to Health Professional Radio. Thank you so much for being with us today Dr. Kellman. K: Thank you. Thank for having me.